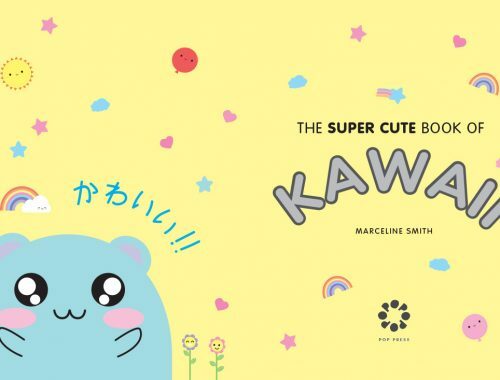 Celebrate Today Bullet Journal & Yay Stickers Book Review - Super Cute Kawaii!! 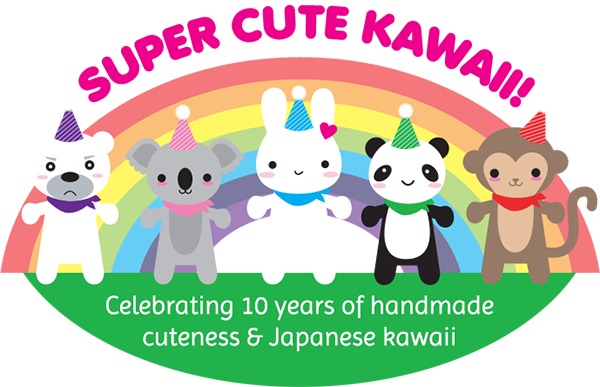 Last month I noticed the Celebrate Today stationery with super kawaii designs from Hello!Lucky. Publisher Abrams & Chronicle Books was so kind to ship items from this collection for me to review. I’ll start with the Celebrate Today Bullet Journal. 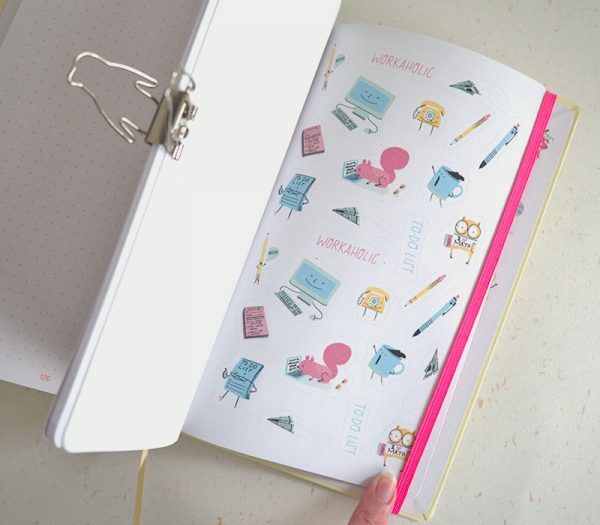 Spoiler alert: the journal is not only cute to look at, but it has also got nice thick paper! 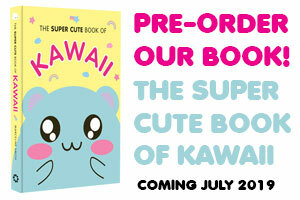 The journal has got a flexibound cover with kawaii characters printed on both the outside and inside. 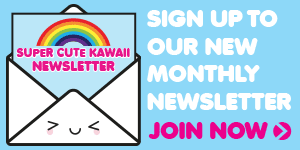 Many of the regular pages have got a kawaii character printed on them as well. All 160 pages are numbered and the first 5 pages offer room to write down your content. The size of the journal is a tad smaller than an A5 size, measuring about 214mm by 134mm. 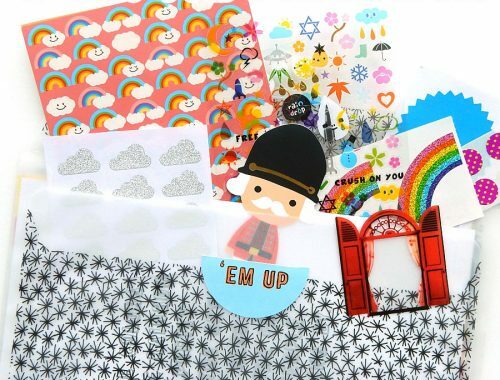 The last 4 pages consist of over 140 matching stickers! 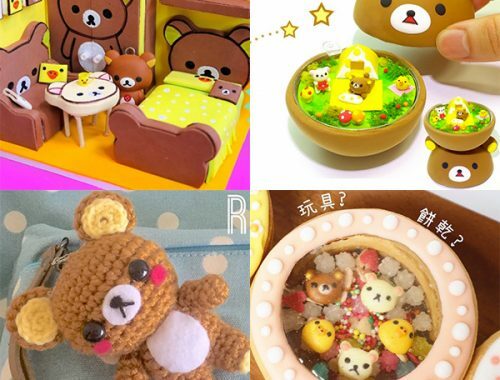 You’ll get kawaii smilies, animals, stationery items and food to adorn your journal with. This journal is advertised as a layflat journal but I had a bit of trouble getting the last part of the journal to lay flat. I tried to break the notebook in which helped a bit, but I noticed that it also slightly creased the back of the cover. The spine of the flexibound cover already came a bit creased. So please be aware that the cover might be the soft spot of this journal. I’m thinking about making a fabric cover for the journal, or to put it into a hobonichi cover. The journal has got the proper thread-bound binding so it can lay flat. 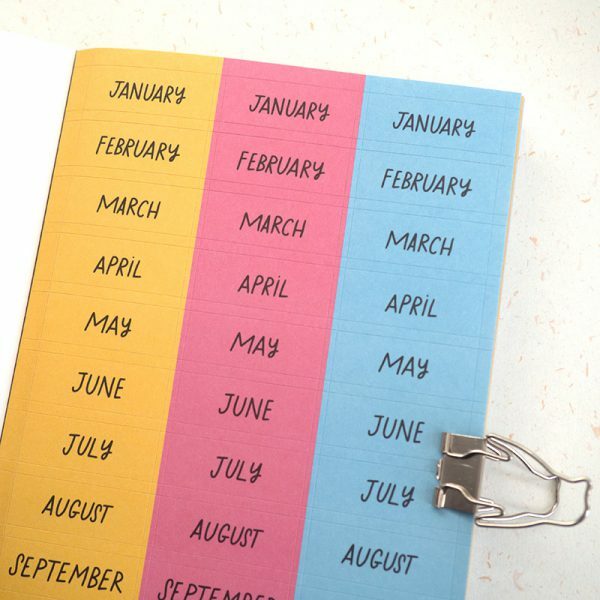 It comes with an elastic closure and one ribbon, to help you keep track of your last entry. 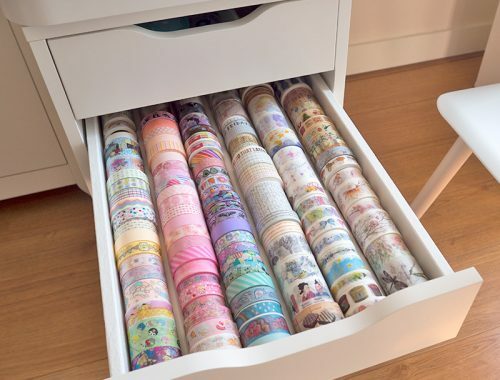 The paper is bright white, which means that inks will show their true colours. 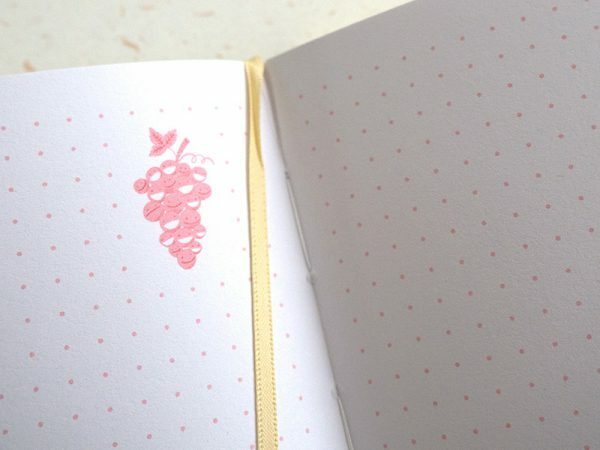 The dots – with a grid size of 5mm – are light pink. 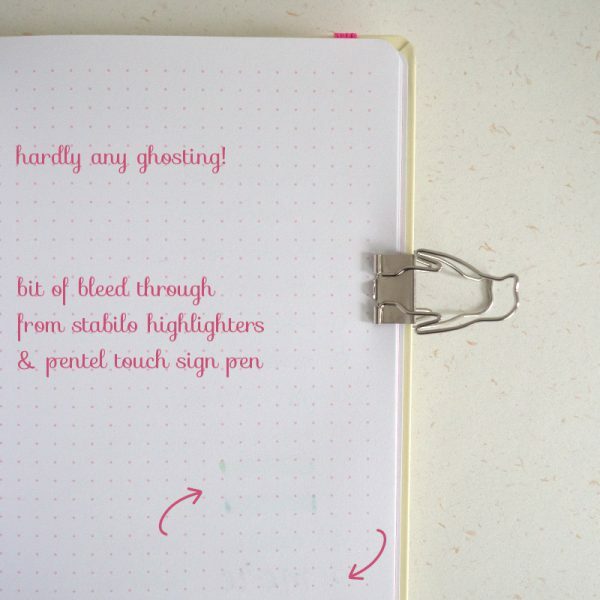 I really like this fact, because it doesn’t make them stand out as much as the dark grey dots in my Rhodia Goalbook. The paper is thick, I guess it’s at least 110gsm. I tried my favourite pens on one of the last pages. Writing went smoothly for the gel pens, pencil and highlighters. As you can see the brush pens do feather a bit. 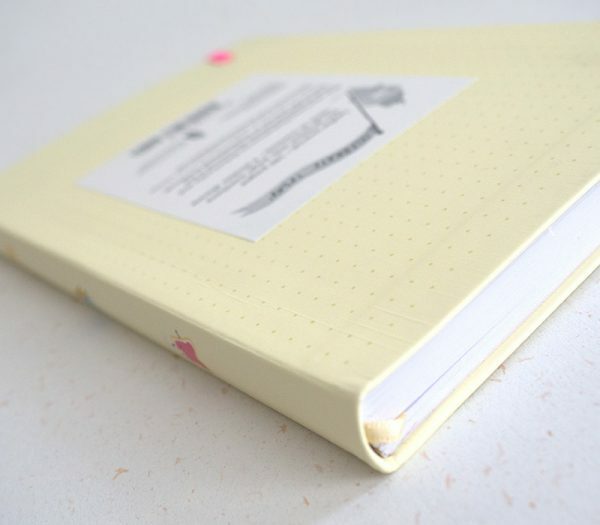 I think it’s because the pages don’t have as much coating as for instance the Rhodia Goalbook. 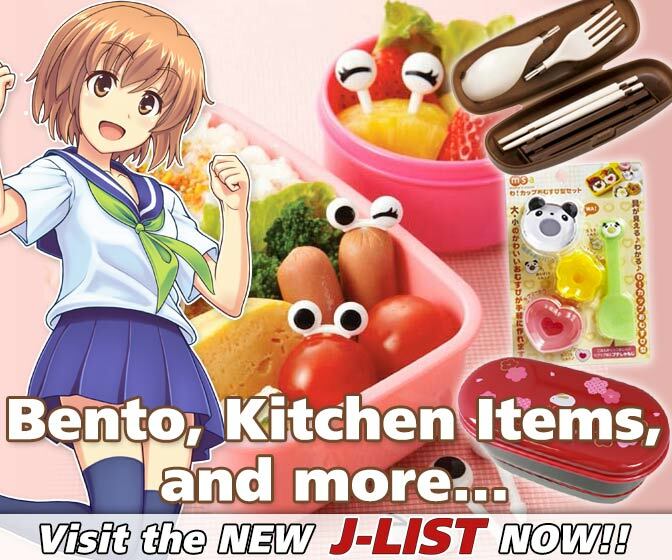 Now let’s look at the opposite side of the page. Honestly I was blown away at the result, there is almost no ghosting / show through! 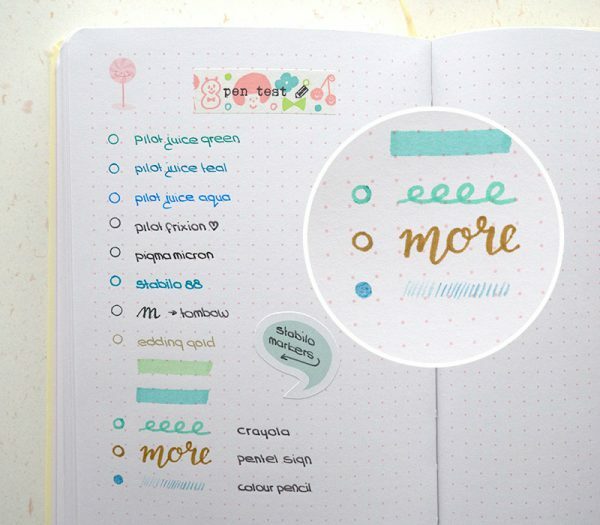 You can easily write on both sides of the page without getting distracted by content from the other side. As expected, the Stabilo highlighters and brush pen did bleed through the page a little bit. I can honestly say that I will be using this bullet journal from now on. 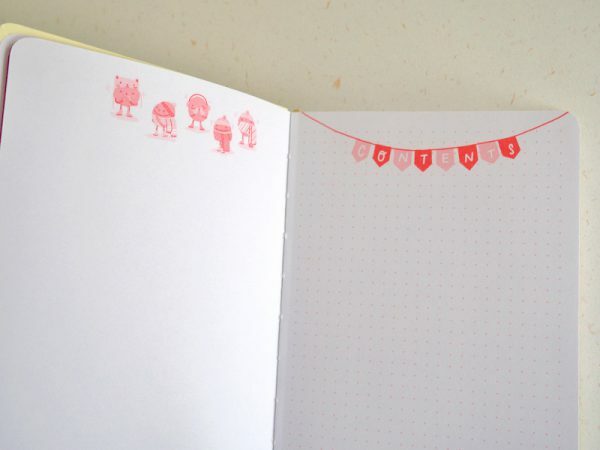 The white thick paper, light dots and cute characters are a big plus. 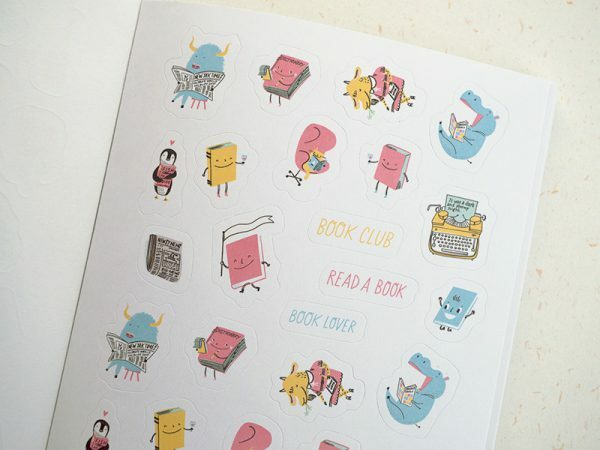 The Yay Stickers! 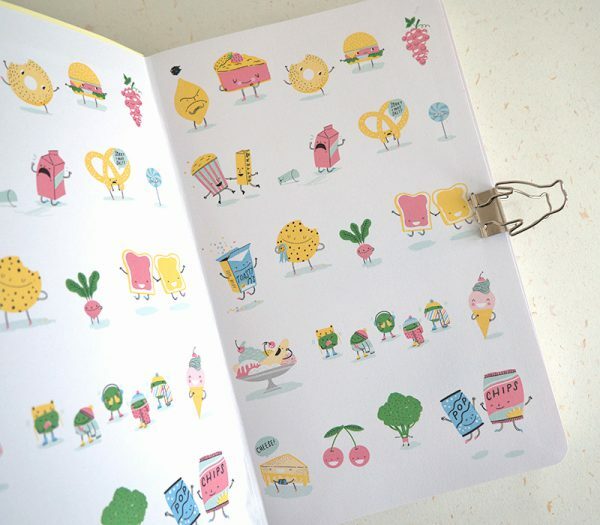 Book has got a sturdy cover and consists of 32 sheets with over 1000 stickers. 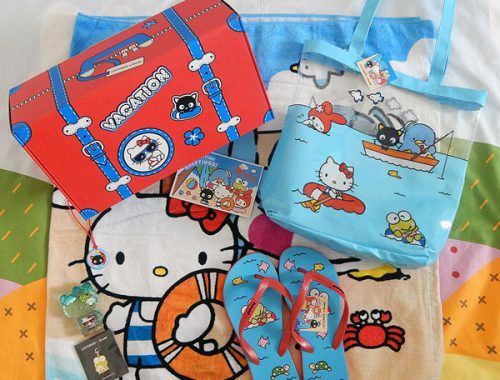 The illustrations are very kawaii and they match the other items in the Celebrate Today stationery collection. 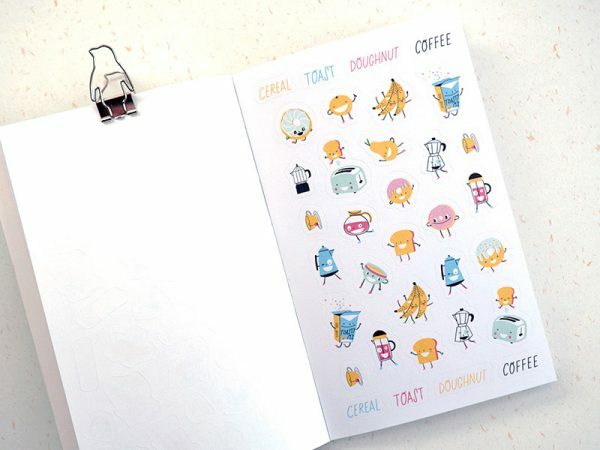 The first 10 sheets have got die-cut stickers of cute animals, food, fantasy characters, party and much more. 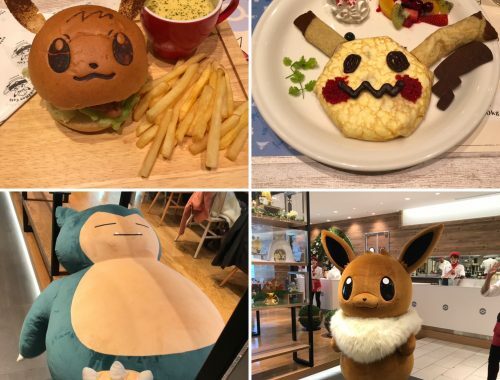 The stickers are made out of paper, they don’t have a very glossy finish. This way they’ll nicely blend in on the journal pages. 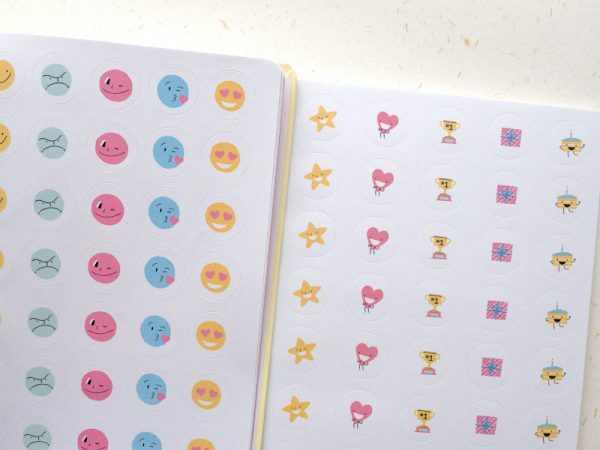 You’ll also find 10 pages of round stickers in the book, featuring smilies, seasonal items, punctuation, food and other planner-themed illustrations. 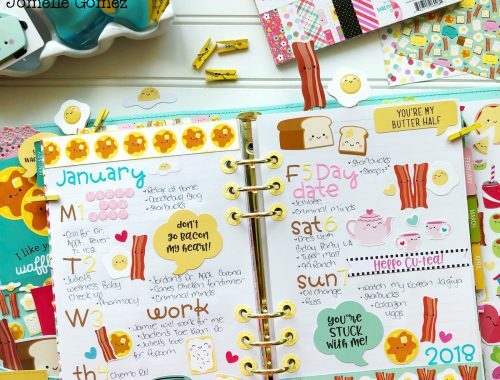 Next up are 5 pages filled with planner labels, with words such as memo, reminder, weekend, lunch, dinner and more. 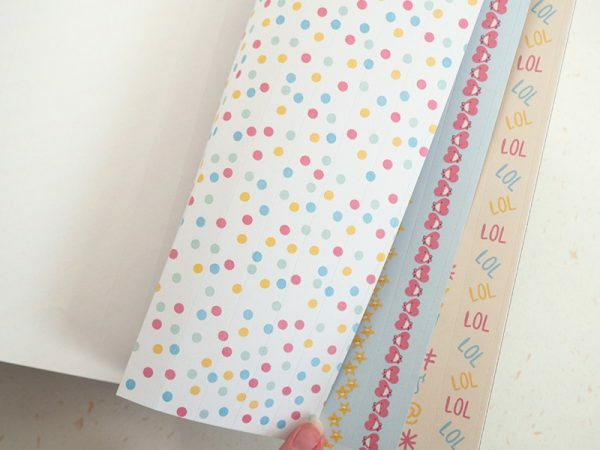 The end of the stickers book holds 5 pages with very nice pattern strips and 2 pages of text balloons. I can really recommend the Yay Stickers! and think it would make a nice gift as well. 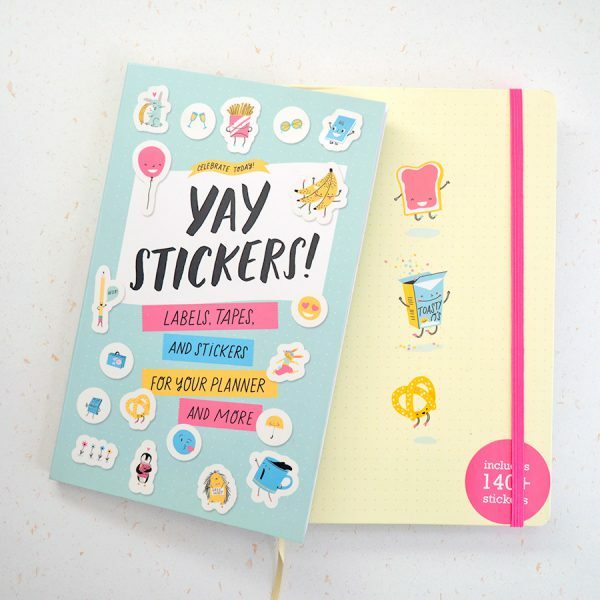 Other stationery in the Celebrate Today collection are a notebook and a guided journal. 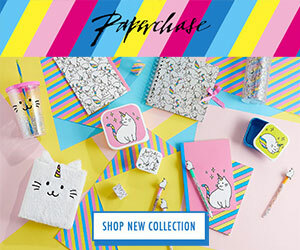 You can buy this stationery at UK bookshop Wordery (free worldwide shipping), Bol.com (Netherlands), Amazon USA / UK or your local bookstore.